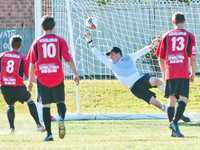 COFFS United has set up the NCF minor premiership decider with Northern Storm after they beat the Urunga Raiders at Mclean street 2-1. The first half saw both teams contest, but a clumsy challenge on United Midfielder Nathan Silvy in the penalty area saw him step up to the plate to smash one past Blayze Ireland in the 40th minute. United claimed another in the 60th when a Ben McKay cross found Nick Lambert to easily tap in United's second. The last 45 minutes saw the Raiders increase the intensity which saw United on the back foot and their persistence paid off when Kale Hopper latched onto a loose ball to wrap the shot past Coffs' goalkeeper, Ian Davie. A result for Urunga would have put them in a good position for the minor premiership before they tackle Sawtell next week. 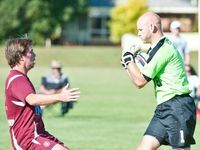 Coach, Paul Pomroy said that the result was a reflection of Urunga's lack of enthusiasm at the end of the season. "I said to the boys that we were out-enthused today and it's been the same the last couple of weeks," Pomroy said. "The other team (United) looked like they wanted it a bit more and I think we may have slowed up a bit towards the end of the year. We should be getting on with it, so we have to turn that around really quick," he said. 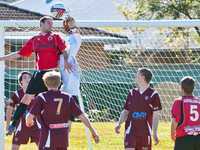 The game saw four yellow cards in total, three of which were Urunga's. 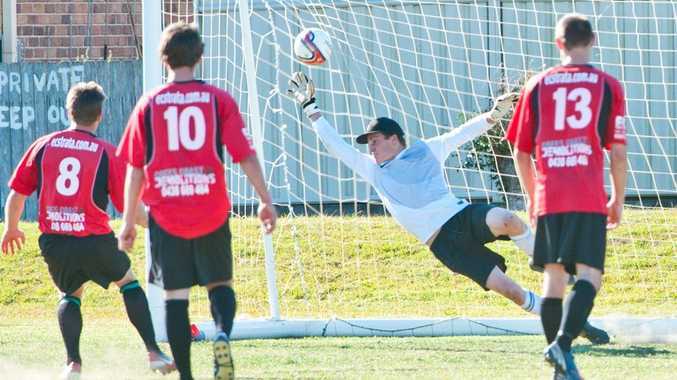 United coach, Mike Smith talked about a challenge on Striker Ben McKay as being intentional. "He had no intention but to smash him. It just annoys me a little bit, but they're a better team than that," Smith said. "I just don't understand the referee, things like that should just be a straight red in my opinion," he said. While the game proved to be a physical encounter, Smith was happy with his team's performance and thought the final games will throw up some "interesting" encounters. "Urunga are a good team, they tried to play through us. We got a bit confused with some of our defending.